With the recent rash of storms in the Ontario area such as Brampton, Mississauga, and Toronto, more and more individuals are looking to get their troublesome trees trimmed and cut. As a tree removal contractor, you have probably noticed the recent influx of business, which is always a good thing. However, you should be completely aware of the fact that your business is open to a variety of different liabilities on a daily basis. Unfortunately, there are times when some of the liabilities cannot be avoided, as accidents always happen, regardless of how careful you are. You could be cutting a tree or limb and it could twist in a different manner than you thought and fall on a customer home, car, or even a power line. Maybe one of your crews goes out to a rotten tree, and as soon as they touch it, the thing falls over and destroys half a customer’s house. As you can see, these are all viable situations that could happen to you on a daily basis as a tree removal contractor. That being said, you should know that tree trimming and removal contractors insurance can protect you and your employees in these types of situations. Contractors insurance can safeguard you, your employees, and your company from a variety of different liabilities. When choosing the type of coverage and the amount of coverage that you want, it is important to know the risks that you are open to and weather of not there is insurance coverage for subcontractors that are hired. Bodily Injury Claims – As a tree removal contractor, you know all to well that no matter how careful you are there is always a chance that a customer can get injured due to something you or one of your employees do. For instance, a lot of customers like to get right in the way and watch every little step that you make. 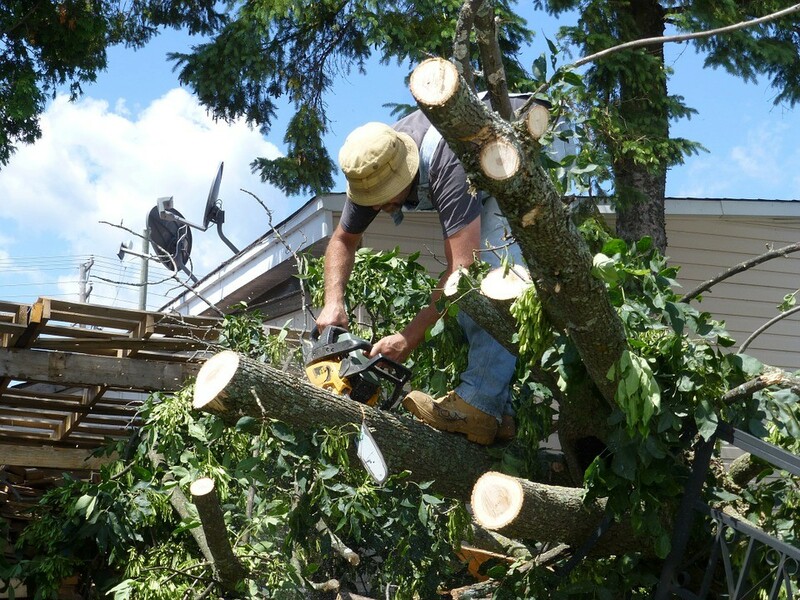 When cutting limbs or trees, it is highly likely that debris could fall on the customer and cause them physical harm. In a situation like this, contractors insurance will pay for the medical costs of the injured customer. Property Damage Claims – Unfortunately, trees and limbs do not always fall the way that you think they will. Sure, you can tie on ropes, cut small sections, and be cautions as possible, but there is always a chance that debris could fall on someone’s home, car, or property. Even though the situation was completely unintentional, the customer is going to look to your company for reimbursement. Some of these situations could lead to extremely expensive out of pocket costs. However, with contractors insurance, you can rest assured that you will always be covered. While it is true that contractors insurance can protect you against a variety of liability situations, it cannot protect you from everything. For instance, if one of your employees is injured on the job, this type of policy will not cover the medical or lost wages expenses. If you or one of your employees gets into a vehicular accident, while on the job this policy will not pay for any of the medical or property damages. If a customer comes into your place of business, slips and falls, and needs medical attention this type of coverage will not protect you. Fortunately, there are other types of insurance and policies available that can protect you in these situations. So, if these are risks that you are faced with, it will be an extremely good ideal to look into these other policies. Now, that you are aware of the importance of contractors insurance and how it can protect your business, you are probably anxious to know how to start looking for contractor liability coverage right away. There are a variety of different places where you can start looking. For instance, probably one of the more popular options is the Internet, as you can literally scour through hundreds of local providers, get quotes, and fill out applications within just a matter of minutes. You can also read reviews and reports to see what other tree removal contractors have said about the company that you are considering. You also have the options of looking in the yellow pages, or speaking with other contractors to see which insurance provider they are currently using.